A past tense listening quiz (matching). 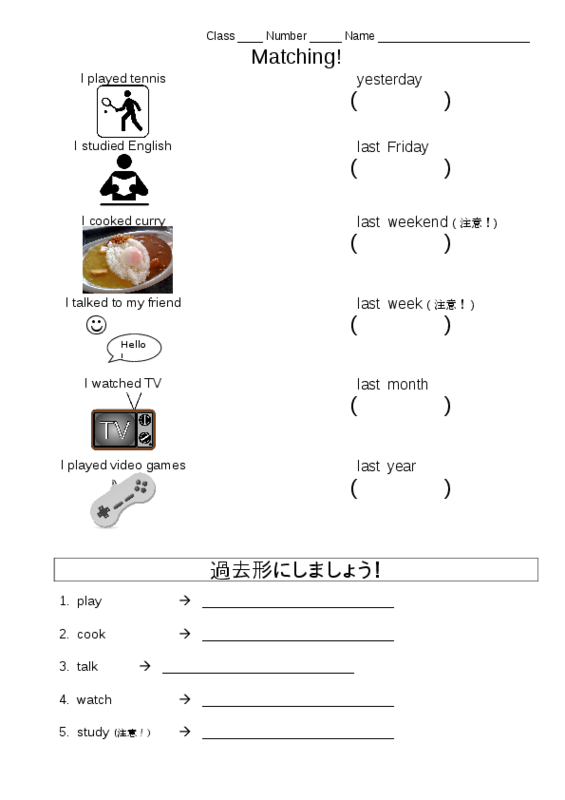 Before class print up your own copy of the worksheet and connect the items any way you like, making sentences like "last week I played tennis." Read them aloud in front of the class and have the students connect a time with an action to make the sentences you read. In the parenthesis on the right, you can have the students write the meaning of the words in Japanese, or any notes they have. At the end, have them quickly jot down the past tense forms of the verbs at the bottom of the paper.